Mmmmmm so who doesn’t love a big juicy steak?! 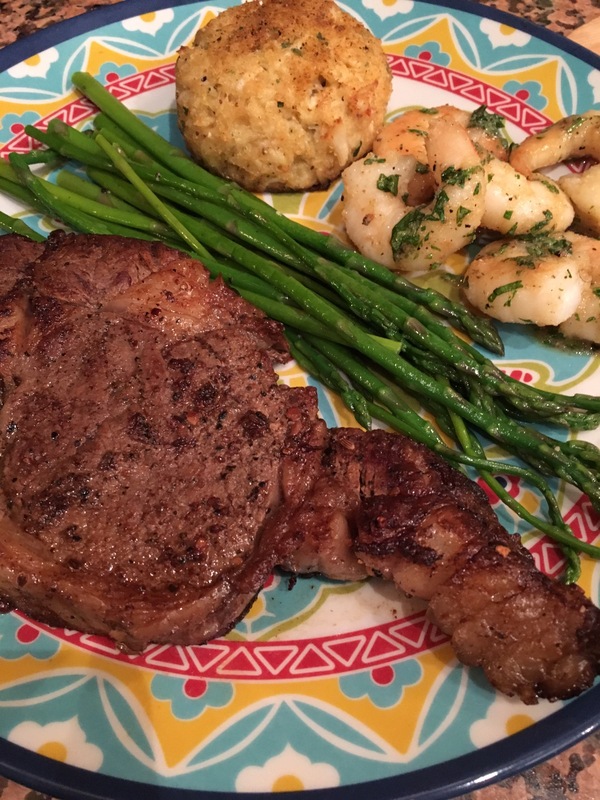 It took me a lot of trial and error to make what I think is the best steak. I prefer my steak medium well, I’m one of those folks that don’t do well with anything still bleeding. I used to be a well done person until I saw the major difference in juiciness by just saying medium well. 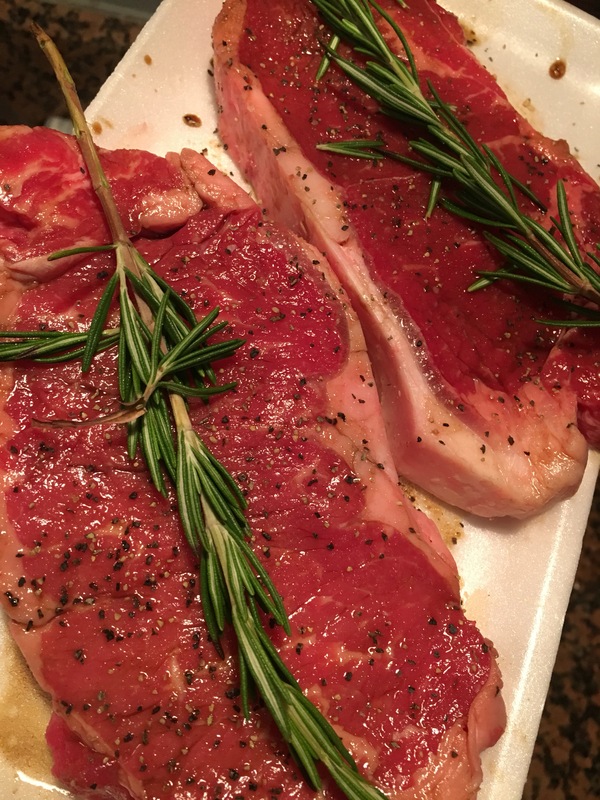 Now my first step in a wonderful steak is that your steak needs to be at room temperature! A cold piece of meat doesn’t hold seasoning as well as a piece that’s not warm, but not cold either. Since steak is a dense meat, it can hold LOTS of salt & pepper without being over seasoned. Worchestire sauce is my favorite when dealing with steak. It’s salty and slightly tangy and gives the meat a beautiful flavor. So I always coat my steaks, NOT DROWN, them in some of it. I then season both sides of the steak evenly with salt and pepper. I then let it sit for about 20-30 mins with a sprig of fresh rosemary. If you can let it sit an hour than go for it. Just make sure it’s covered. Before cooking, heat a cast iron skillet to scorching hot with about 3 tbsp butter to keep things juicy. The hotter the better. When you’re ready to eat, pop the suckers in the skillet. Cook on one for 5-7 minutes, flip them over and cook another 3 minutes. Of course the meat is not fully cooked so I pop the skillet in the oven at 300 degrees for abou 7 minutes. This allows the steak to finish cooking without over doing it. If you like it well done than let it sit a little longer. Once you take it out the oven, its key to let it sit for about 10 minutes because if you cut it right away, all the juices will go flowing out and that will be the end of that.